1991 JL (SG21) Holden Apollo GS. 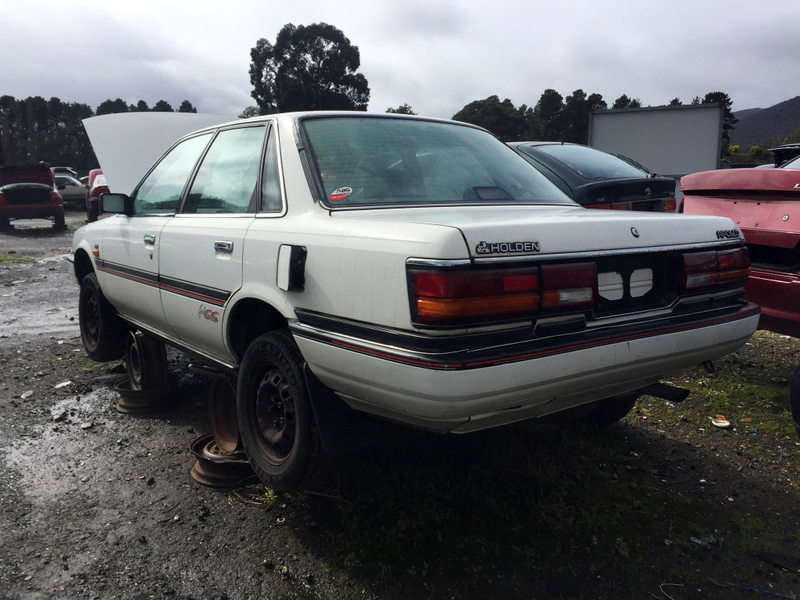 No doubt more recognizable as a second-generation V20 Toyota Camry; these were built in Australia under the United Australian Automobile Industries joint venture between Toyota and Holden. This was a result of the mid-80's 'Button Plan' in Australia, that produced such gems as the Ford Corsair and Maverick (Nissan Pintara and Patrol/Safari respectively), the Toyota Lexcen (a Holden Commodore), Holden Nova (..a Toyota Corolla) and more. While the second generation Camry went into production in 1986 (early '87 in Australia); it wasn't until 1989 that these Holden-badged hit the market. There was a small update in 1991 (like this very early production car above), with the last of these finally being built in late 1992. I had been waiting for a good one of these to photograph for a while. Its not as if anyone really takes much off these cars in the wreckers (these cars are strong, and really only seem to end up here due to being valueless...), but I could afford to be picky! 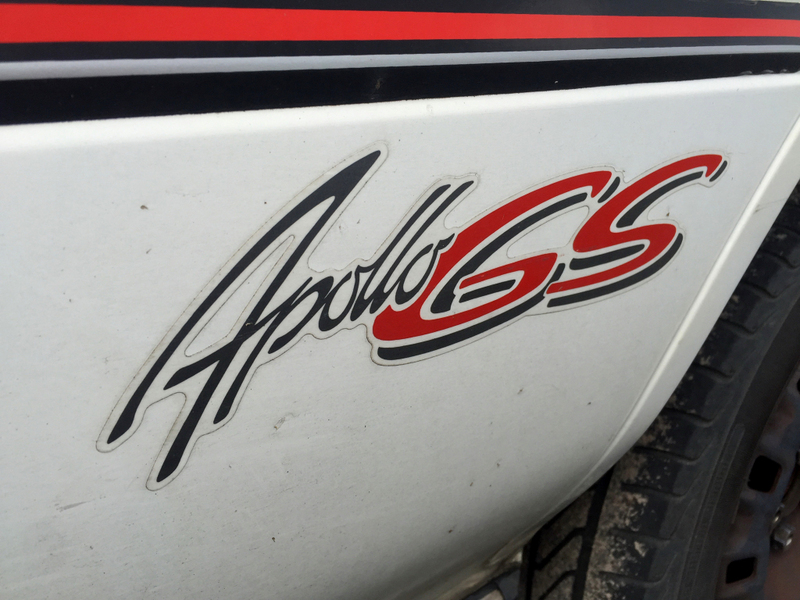 So here's a nice and late, complete and original, sporting-esque version of the Apollo..
As for what makes a GS a GS? I'm really not sure.. but It's clearly not much! But hell.. a couple stickers and some bright trim'll do! Nothing too special going on under here. Toyota's economy 16valve version of the 3S; the 3S-FE - a 2litre inline four, driving the front-wheels here through a 4speed auto. Inside is a little basic; but it did score a tachometer, and the trim used for the seats/doorcards is fantastic...! The much cleaner rear seat shows off the trim a little better. Soft grey fabric contrasts brutally with that bright red piping, with the same detail repeated in the chequered centre inserts! I genuinely thought this looked really smart, and I'm definitely not usually a fan of contrasting piping! ..aaand finally around to the back. No surprises here. Yep, there really isn't much to show on these. Bit of a shame for this particular car, as its clearly been well cared for over the last 25years. It's all there, nice and straight, and totally original.. with only 15x,000km (93,000miles) on the clock too..
Rays Engineering SUPERVOLK - 14"